Printable PDF Calligraphy chart with Lowercase themed alphabets. This chart contains 26 A to Z small case alphabet letters to print in PDF. 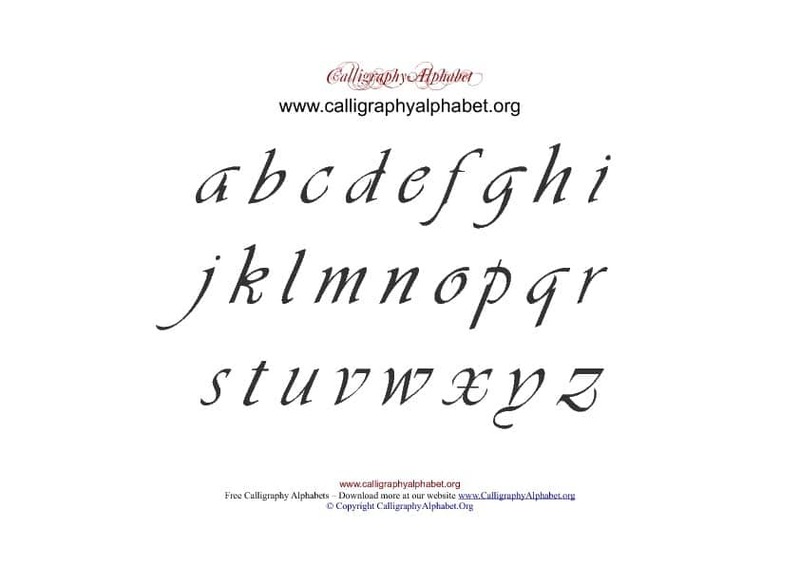 Print this Lowercase themed PDF formated Calligraphy chart below. These lowercase alphabets can be used for many types of projects and scrapbooking. Available as a printable PDF template.